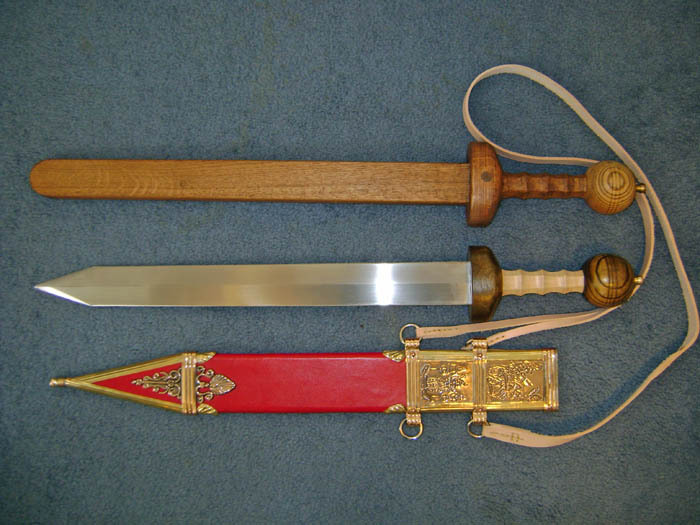 My Gladius “Spiculum” …….and “Assula”! 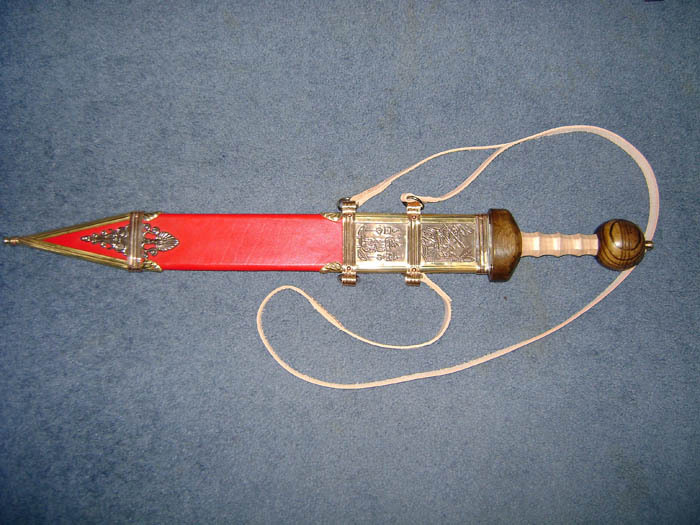 I held a naming contest for it on a forum………. 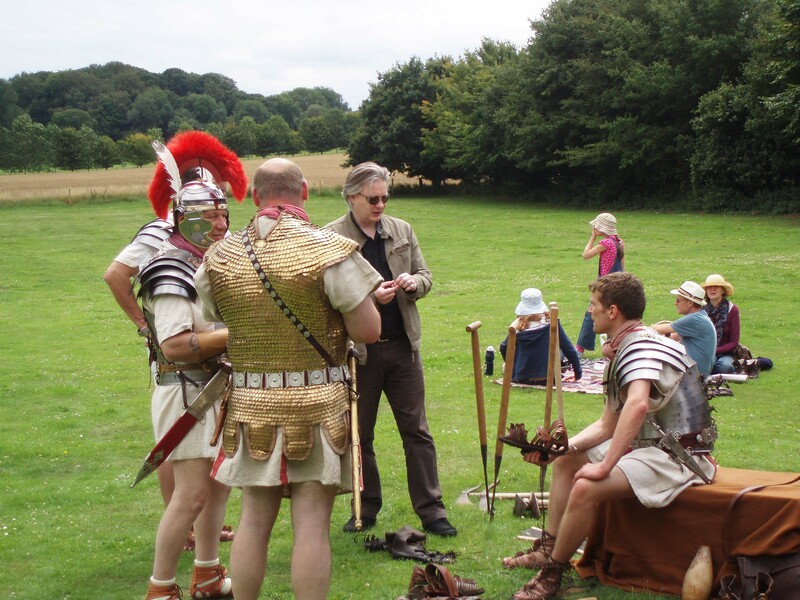 The wining suggestion was “Spiculum” by Big Al. 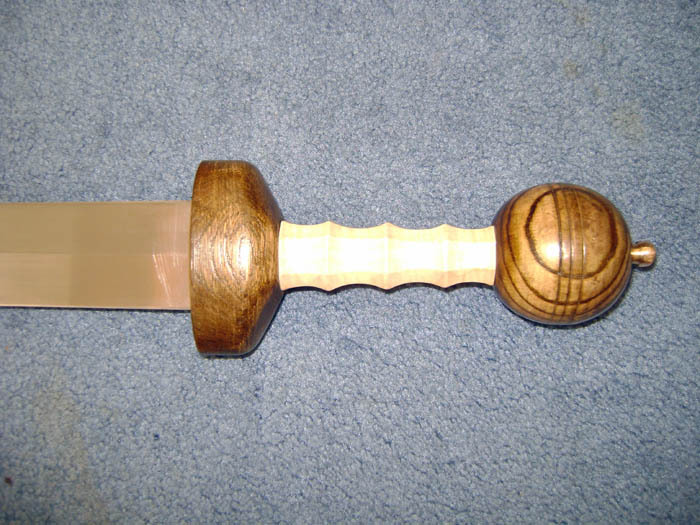 This was based upon our mutual liking for Lord of the Rings….so it is kind of a latin version of Bilbo’s sword “Sting”….as in latin it means “sting” or “sharp point”. 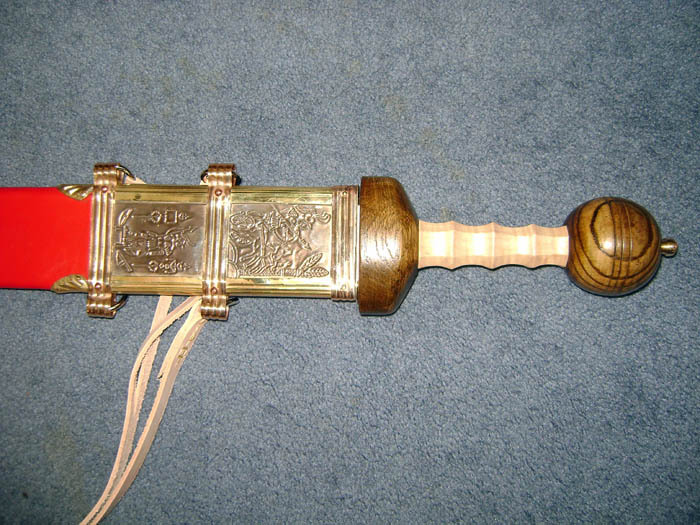 Once it was finished I had the superb Len Morgan (who had already constructed my Wooden training Rudis…….ironically dubbed “Assula” by Cubster a forum dweller…and a bit of a painter, cough cough!) 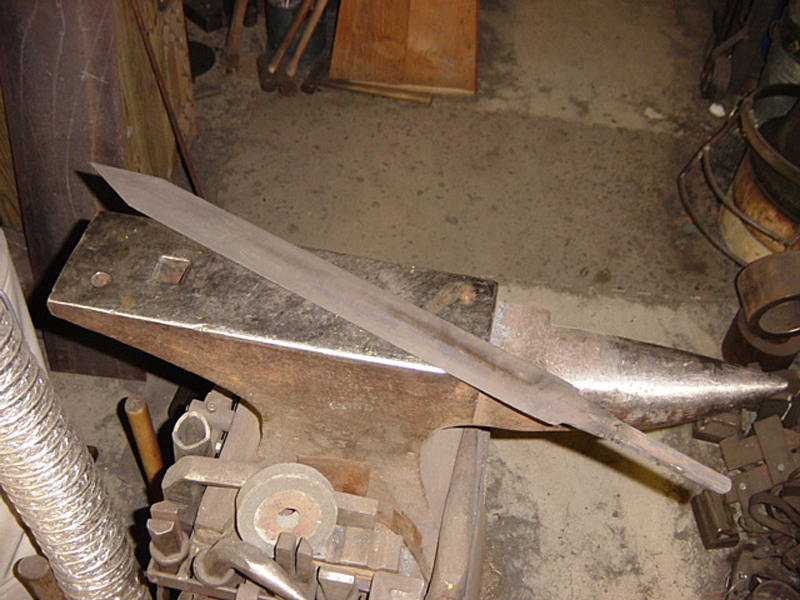 make a handle and Scabbard. 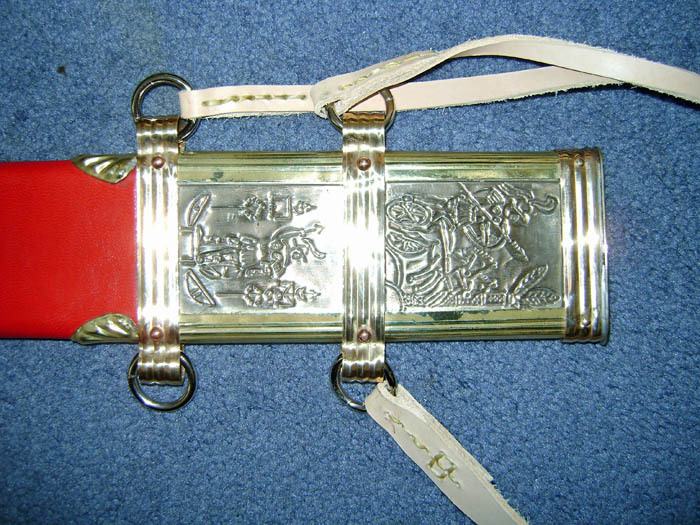 My wife took these pictures of them with me chatting away about attic helmets and Sling shot! 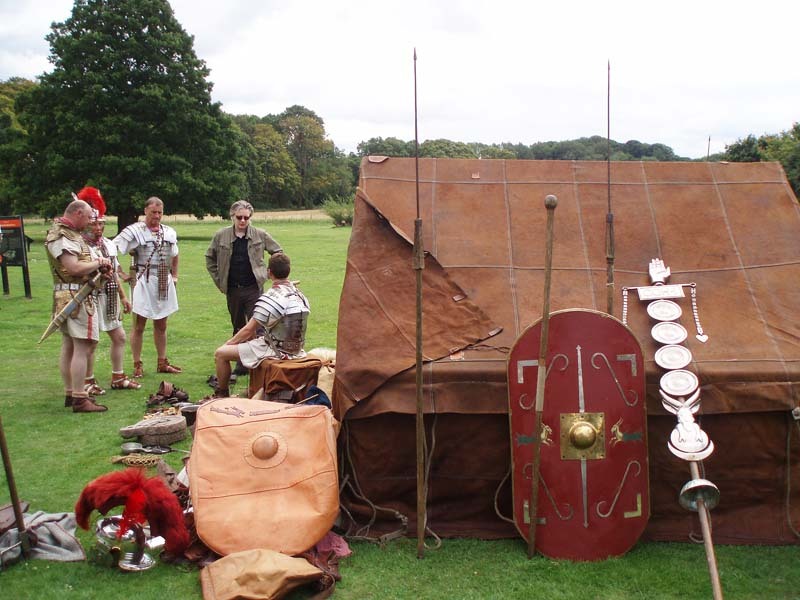 Also some good reference material for Leather Shield Covers and painting Roman leather legionary tents! 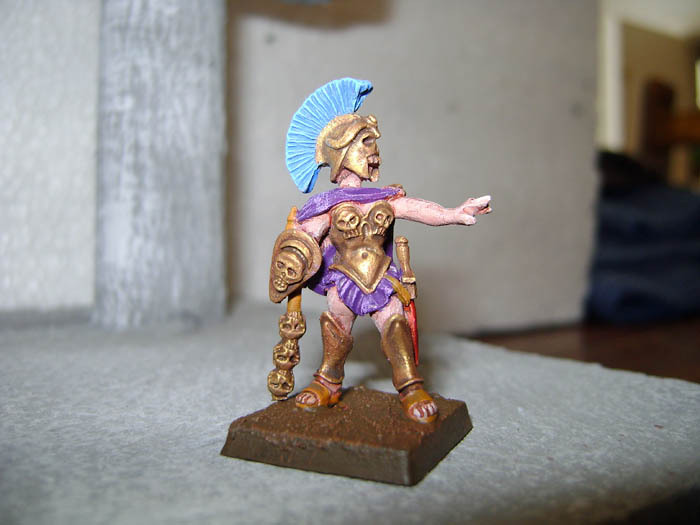 Here are some more heroquest, I will of course get round to uploading all the pictures eventually, but I have just finished these two and thought I’d post. 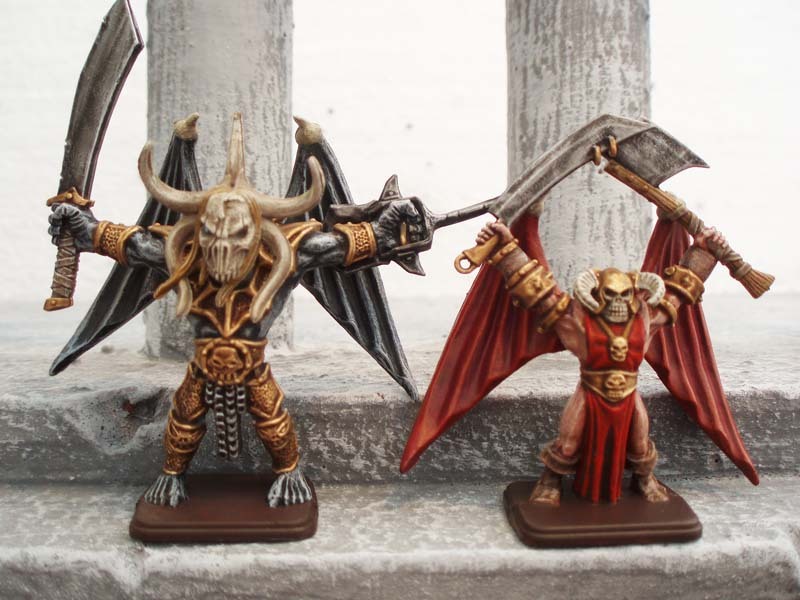 The Gargoyle is a conversion…..and is a prize on Philippe’s Blog so if you want to win him I’d keep a close eye on that! 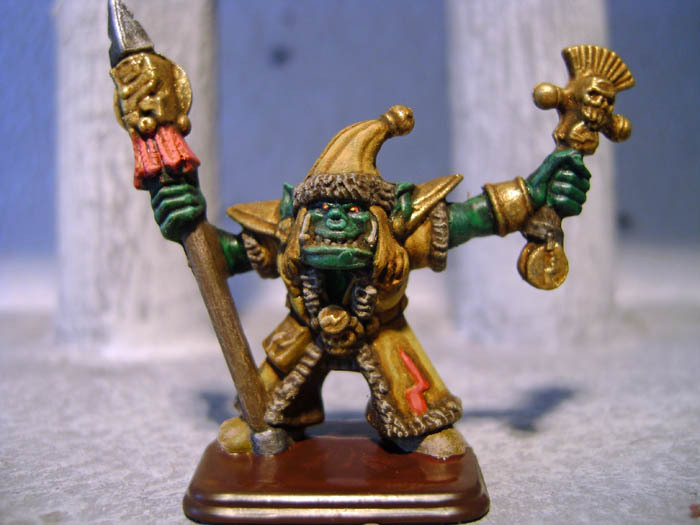 The other figure is from either advanced heroquest or Wizards of morcor add on set…he is an Orc Shaman. 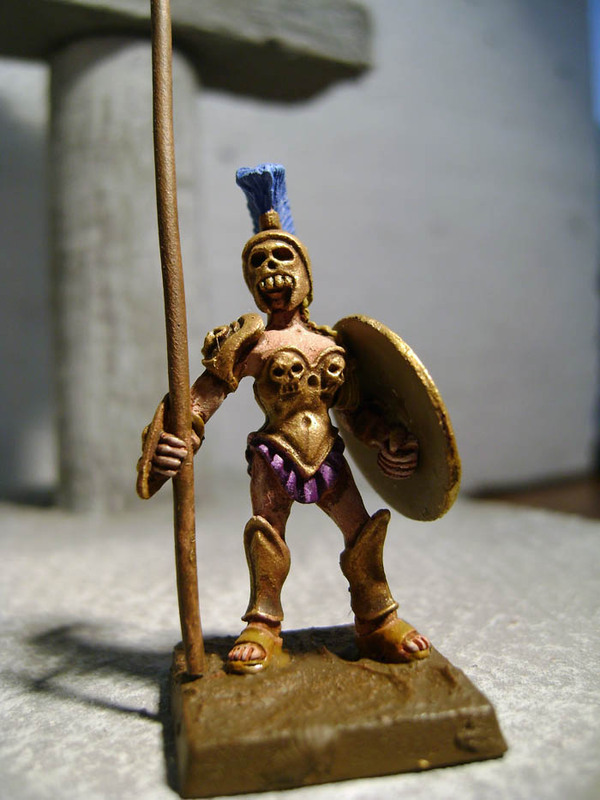 I have been painting and converting HeroQuest Figures for my friend Philippe in France for about a year. 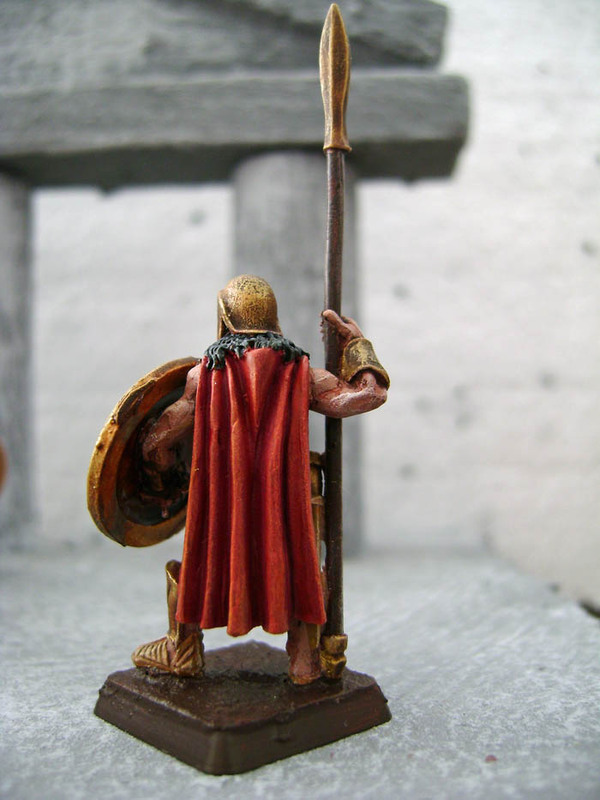 He has a HeroQuest Blog and seems to have adapted the game by extending the rules, using bigger forces than came with the original game, and making additional Character Cards. 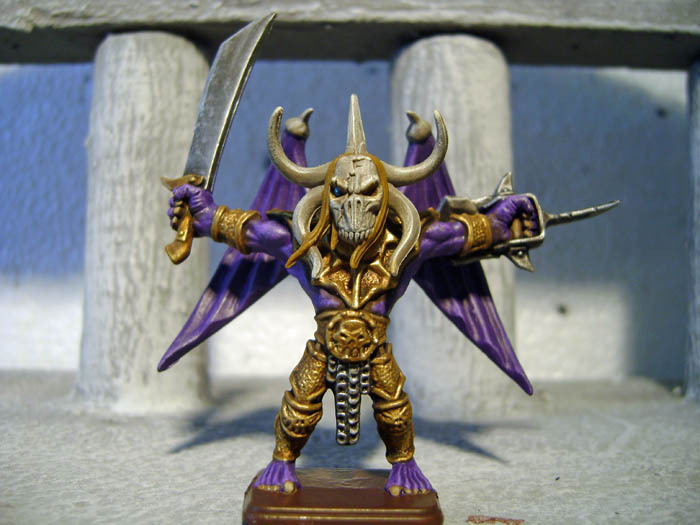 He has quite a following and maybe be responsible for the huge price rise in second hand heroquest figures on ebay!!! 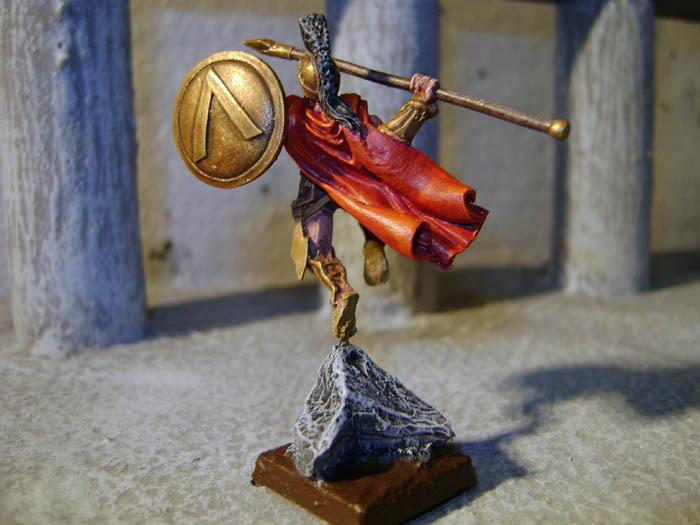 All the figures on his site (except where mentioned!) 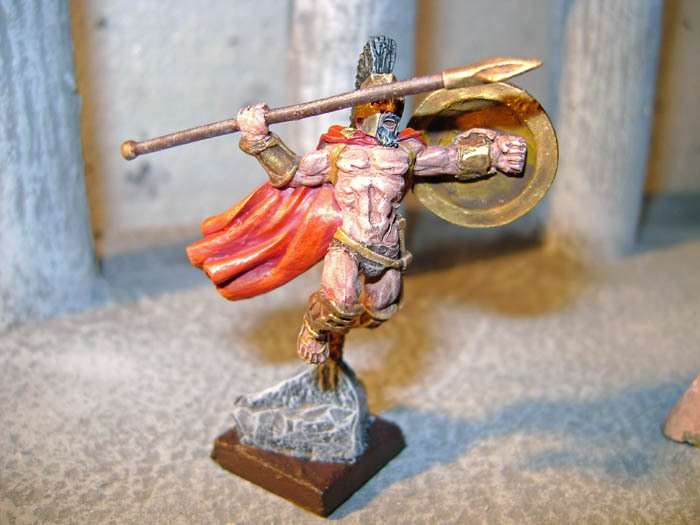 have been painted by myself…On there I am known as Slotkarman! 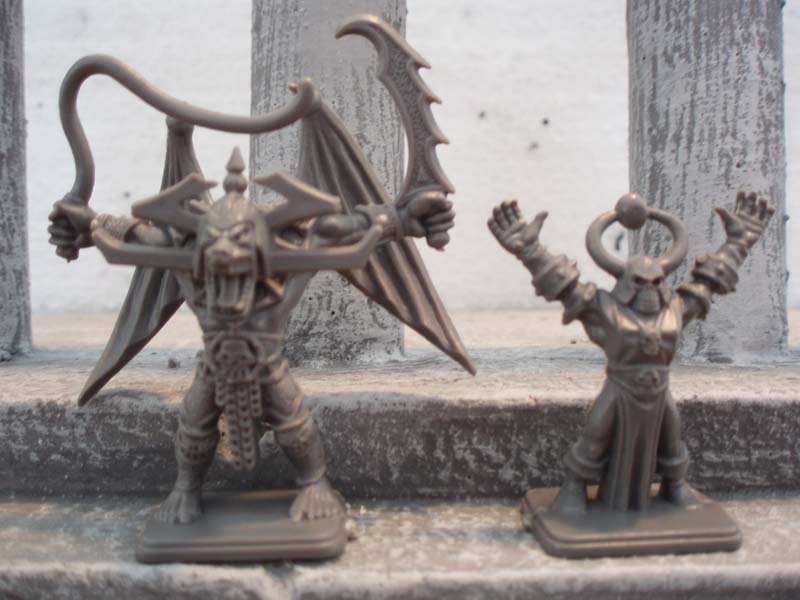 There are many conversions to all the figure types. That is the bit I enjoy most! It is a French langauge website but it is very easy to cut and paste text into Google Translate if you want to know what is going on and don’t speak French. 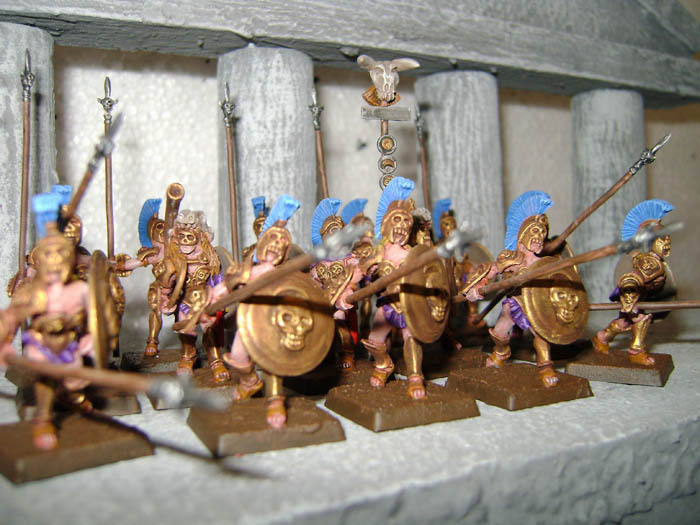 These figures are for my daughters Fantasy Greek Army, and are from Shadowforge, a company from Australia. 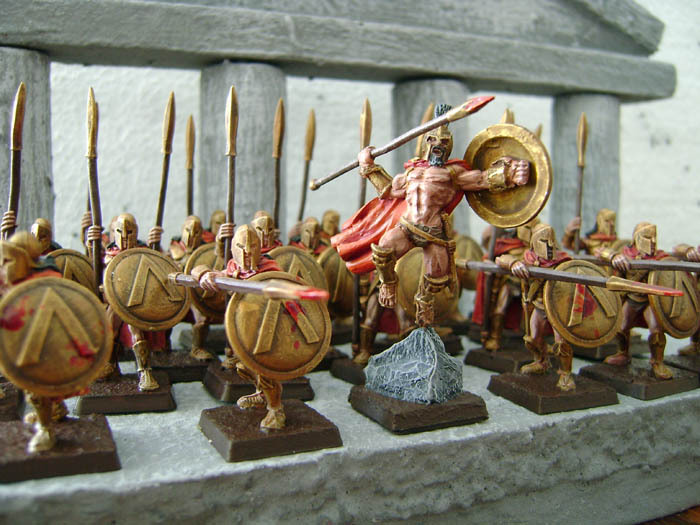 Being a bit of a fan of the Movie “300” I wanted some 28mm figures to represent Spartans in my Ancient Greek army, that looked like the those on the big screen. I managed to to find both the Leonidas and his bodyguard. 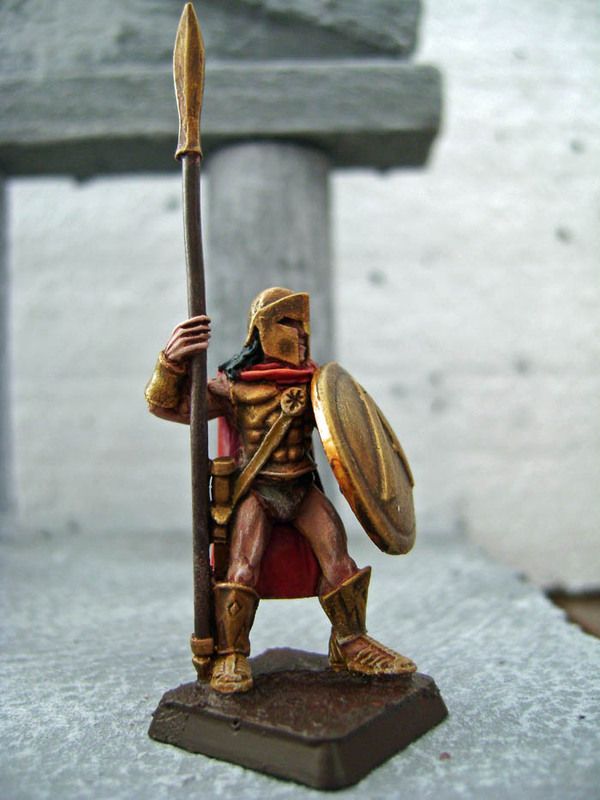 “Tales of war” make a very good Leonidas…he is scaled at 32mm but his pose means he can just about get away with standing next to the 28mm scaled Crocodile games Spartans. Basing will be finished at a later date.